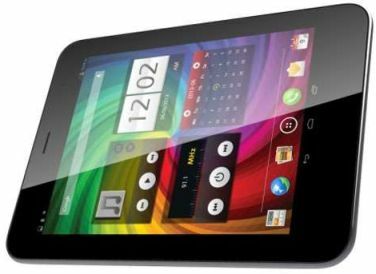 Micromax has officially launched its new tablet Canvas Tab P650 in India. This is the first tablet in Canvas series by Micromax, already Canvas series phones going successfully. Micromax P650 tablet comes with a 8-inch IPS display with 1024x768 screen resolution. It runs on Android 4.2 Jelly Bean operating system and powered by 1.2 GHz quad-core processor. Micromax Canvas P650 Tab has 5 MP rear camera with auto focus and 720p HD video recording and also there is a 2 MP front facing camera. It has 1 GB of DDR3 RAM, 16 GB of internal memory and the expandable memory up to 32 GB with microSD card. The connectivity options are 3G, Wi-fi, Bluetooth 3.0 and GPS/AGPS and the tablet has support for 3G Sim card slot with voice calling features. Canvas Tab P650 comes with pre-loaded apps like Opera Mini, Kingsoft office, M!Security, M!Live and more. Micromax Canvas Tab P650 comes in blue and white colors and officially priced at Rs. 16500. It will be available all retail stores across India from this week. It will compete Xolo Tab recently launched with similiar specs for Rs.13999.